Following on from its recent announcement of the Galaxy S4, Samsung has released a four-minute video showing off its new creation in a more condensed format than its considerably longer, and much more bizarre unveiling event. Throughout the four minutes, potential customers are guided through a bevvy of new features, with a few seconds spend on each, accompanied by some fancy audio work and more whiz-bang graphics than you can shake a stick at. Samsung starts its video off by trying to push the Galaxy S4 as a modern, high-end smartphone from the aesthetics side of things, clearly conscious that consumers want a phone that looks as good as the competition, not just something full of features that they may or may not use. The new, thinner design and the larger, high resolution screen are touted as improvements over the Galaxy S III, which are sure to be two of the reasons existing handset owners may wish to make the jump to the S4. We have to say that, even though it’s far from a huge departure from the look of the Galaxy S III, there is something about the S4 that makes us drool. It may be that larger screen, but it does give the appearance of a quality handset, at least on the outside. Samsung is also quick to point out some of the software that it has added this generation, with Air View one of those to get an early mention. Being able to have your finger not need to touch a screen in order to make it work is a great party trick, even if we’re a little skeptical about how much use that particular feature will see in real use. The Galaxy S4’s media functions are also given some screen time, with the dual cameras and their ability to compose one image in random right up there in the ‘a bit weird’ category. We’re sure someone will find a use for it, we’re just not that sure what it will be! 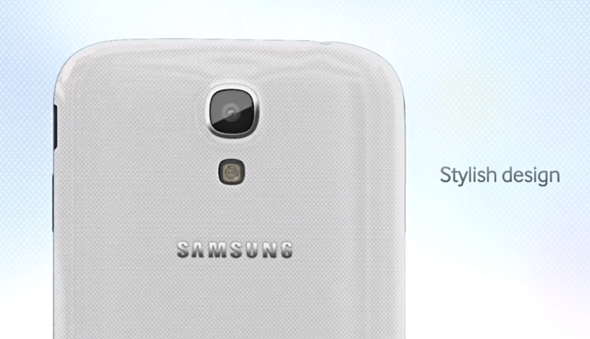 Samsung is already pushing the Galaxy S4 hard, and the carriers and retailers are sure to do the same. 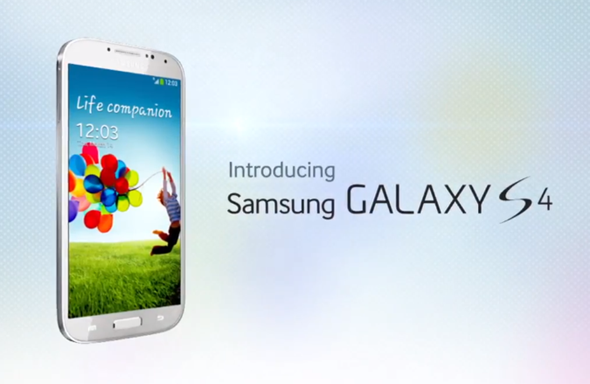 It if proves as popular as previous Galaxy S hardware, then it’s sure to be a huge success worldwide.